I arrived in Bangkok rather late, and before I got to the city and checked in at the hotel, it was way past dinner time. 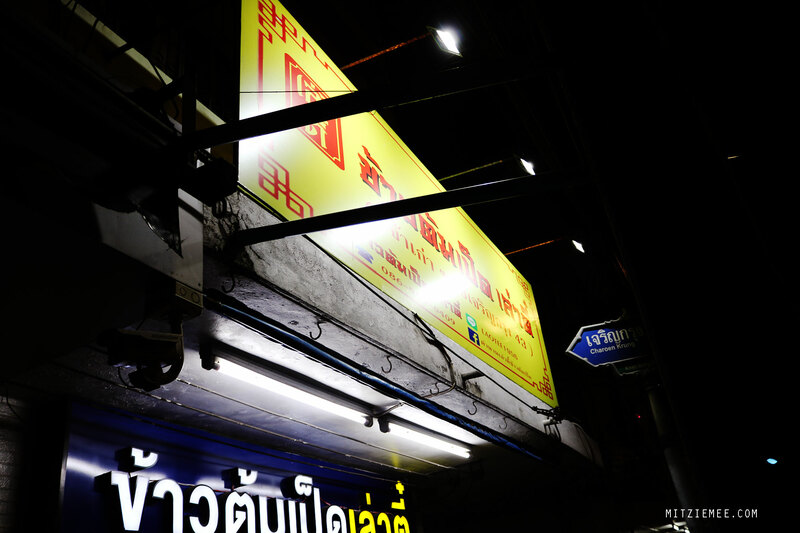 My hotel was on a quiet stretch of Charoen Krung Road without a lot of restaurants in sight, so for a short moment I wondered whether I would have to go to bed hungry. But the I found a tiny place, where a man was serving soup from a giant pot. One of the staff members spoke English, so I asked what their most popular dish was, and she told me that it was khao tom, rice soup, with duck (sold out) or pork rib. 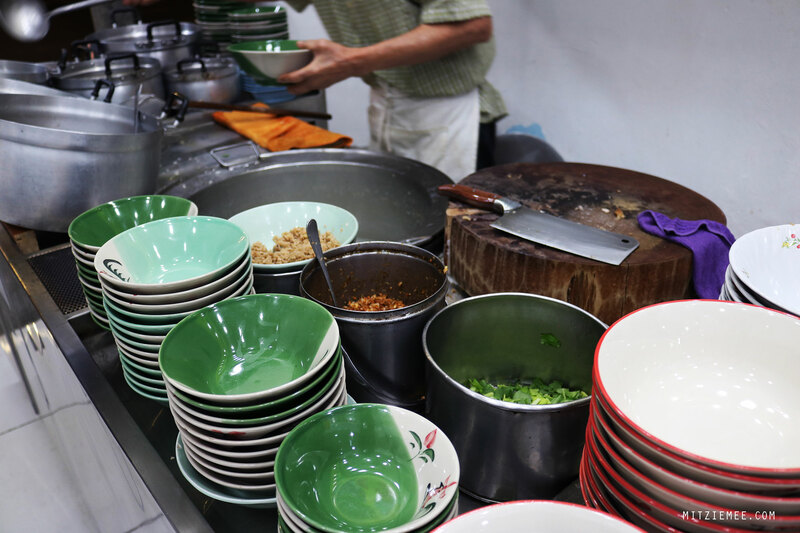 A lot of the smaller restaurants in Bangkok specialize in one or two dishes which they then make to perfection. You may find other dishes on the menu, but you will see that the locals only order those signature dishes. Apparently, for this place it was rice soup with pork rib, so that was what I ordered, along with a bottle of Coke to quench my thirst. The soup was tasty and loaded with roasted garlic, and it was filling to a point where I wondered whether I would be able to finish the bowl.